We are made of dust. How does this dust collect in protoplanetary discs to form planets like the Earth and people like us? "Inside the Taurus star-forming complex, HL Tau is a young star..."
ALMA partnership et al. (2015). 15th-19th July: Disc-ussion workshop at Monash University in Melbourne. This will be in the form of a "slow" conference, with 3-4 talks per day and plenty of time for collaboration and discussion. More information and REGISTRATION (free but mandatory) here. The schedule of the conference is now available here. A welcome reception will be held 5pm-9pm on the Sunday evening (21st July). We encourage everyone to arrive on Sunday or earlier to explore the area and kick off discussions. For tourism, we recommend setting aside the Saturday following the conference for a boat trip to the Outer Reef. These depart daily from Cairns (you can also arrange pickup/dropoff from Palm Cove). We have a special rate negotiated at the conference hotel. To receive this rate book via Tel +61 7 4729 2000 or groups@hgcpalmcove.com.au. A description of each room type is available here. Note that the special rates above are only valid for single, twin or double occupancy of the rooms. The venue will also price-match any quote obtained from an external website (e.g. specials). 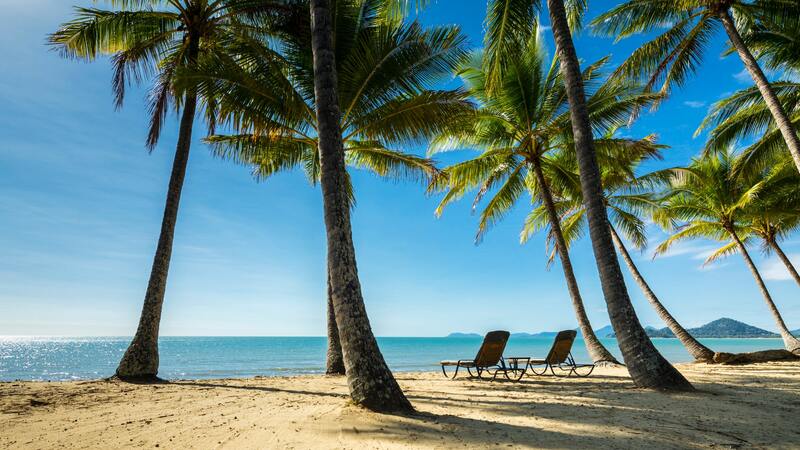 Palm cove is a small town, so any hotel in Palm Cove will be within walking distance of the conference venue. CLICK HERE TO REGISTER. Be quick! Early bird closes 1st 31st March 2019 and numbers are limited. March 1st, 2019: Deadline for title/abstract submission for contributed talks and posters. March 23rd, 2019: Oral contribution selection. March 1st 31st, 2019: Early bird registration deadline. April 30th, 2019: Final registration deadline. Registration fee includes conference related costs, Sunday welcome reception, all tea/coffee breaks, Monday to Friday lunches, conference dinner and excursion to a crocodile farm. Please be assured all user information submitted as part of the registration process will be used only for the purpose of organising the conference itself (and the pre-conference program), to comply with GDPR regulations.